According to the Center for Disease Control and Prevention (CDC), there are more than 100 diseases and conditions that affect joints and the tissues around the joints that comprise the term arthritis. While there are a number of different causes — degeneration, autoimmune, and injury — the symptoms for all types of arthritis include inflammation, pain, and stiffness in one or more joints. One in four, or 54.4 million, Americans suffer from at least one type of arthritis, and many suffer from a combination. 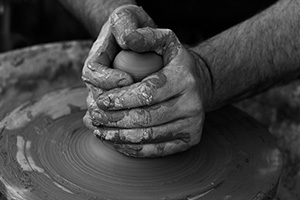 Arthritis is one of the most common causes of chronic pain and work disability. 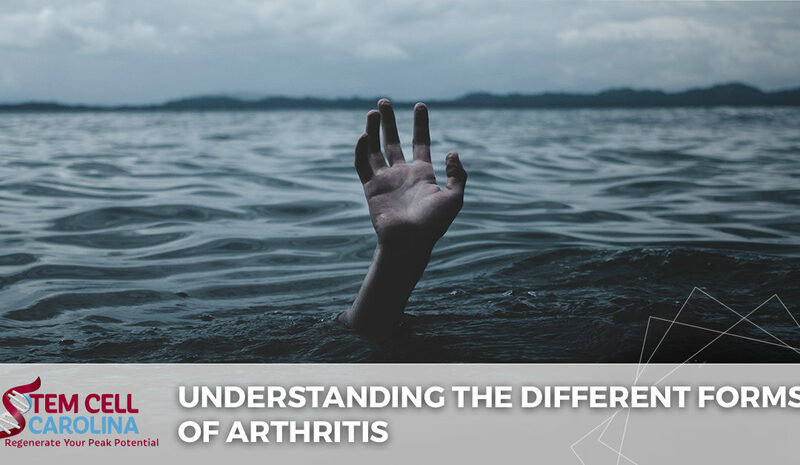 In today’s article, we will discuss the five most common types of arthritis and how regenerative medicine therapies can help reduce the pain associated with them. Osteoarthritis (OA) is the most common form of arthritis in Americans, affecting more than 30 million people. It is a degenerative form of arthritis that is caused by the wear and tear of cartilage and bones of a lifetime. It becomes more common as people age and tends to progressively get worse. It is most common in the hands, hips, and knees and causes pain, stiffness, swelling, and a decreased range of motion or flexibility in the joint. While symptoms can be reduced with increased physical activity, weight loss, and medication, there is no known cure for the condition. Rheumatoid Arthritis (RA) is an autoimmune disease that causes the body to attack its own healthy cells. This process causes inflammation in the affected area — the joints. RA commonly affects several joints at the same time and is common in the hands, wrists, and knees. Symptoms of RA include joint swelling, pain or tenderness, stiffness and decreased mobility of the joint, and sometimes deformity. It can be treated and managed with immune-supporting medications and self-management strategies. Fibromyalgia is a general chronic pain condition that is not fully understood. Fibromyalgia affects nearly 4 million Americans and is a common cause of chronic pain. Because some of the symptoms include joint pain and stiffness, it is included in the arthritis category and treatment options are similar to other forms of arthritis. Many people who suffer from fibromyalgia also suffer from either lupus or RA, and it is not well understood if one causes the other, or if one makes the patient more prone to the other. Gout is a condition that affects the lesser joints — big toe, ankle, wrist, elbow, and knee — and causes arthritis-like symptoms including pain and swelling. Additionally, gout causes redness, tenderness, and a heat in the affected area. It is caused by the buildup of uric acid in the joint and can reoccur several times over a lifetime. Repeated occurrences of gout cause a worsening form of arthritis that can permanently affect the joints. Treatment includes weight loss, diet modifications, and medication. Childhood arthritis, or juvenile arthritis (JA), is the blanket term for any form of arthritis — autoimmune, inflammatory, or pediatric rheumatic disease — in children under the age of 16. The symptoms are typically the same as in adults including joint inflammation, stiffness, and pain. Arthritis in growing children can seriously impact physical development and result in permanent damage and long-term disabilities. Childhood arthritis also makes children more susceptible to other forms of arthritis in adulthood. At Stem Cell Carolina in Charlotte, we offer a number of regenerative therapies to help patients with arthritis overcome their chronic pain. Stem cell or platelet-rich plasma (PRP) can be harvested from the patient’s own cells and injected into the affected joint. The cells go to work repairing damaged tissue and promoting the development of new, healthy tissue. Regenerative therapies help to heal damage, create healthy tissue, reduce inflammation, and effectively eliminate pain. For more information on the science behind the magic, read here. Our team of regenerative medicine specialists have mastered the art of healing chronic pain and can help you manage your arthritis. If you are interested in reclaiming your life from debilitating arthritis pain, contact us for your evaluation today!